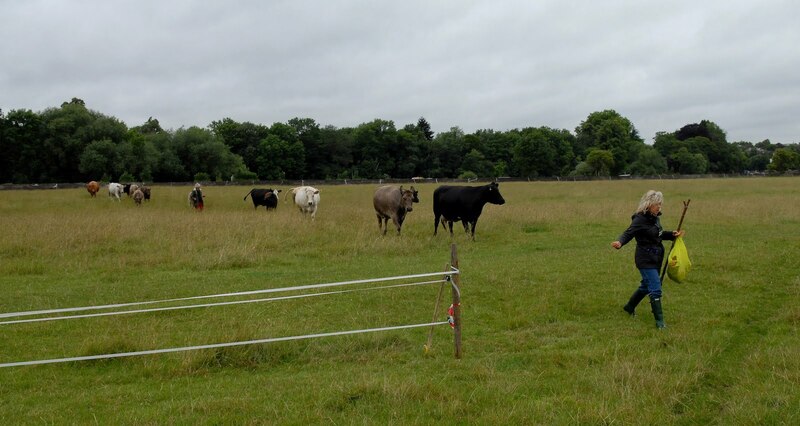 In early May a dog off the lead attacked the herd. 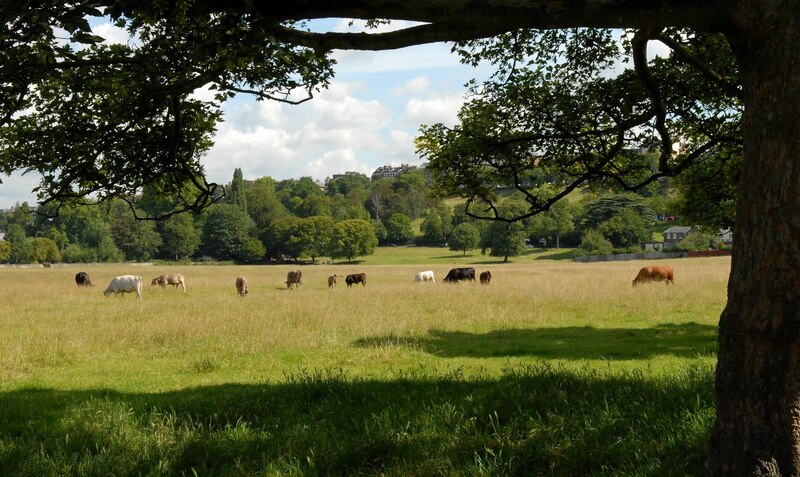 Consequently the National Trust had a temporary fence installed to corral the herd at weekends. 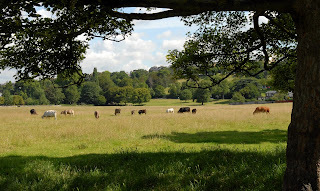 A review of the presence of the herd on the meadow followed. 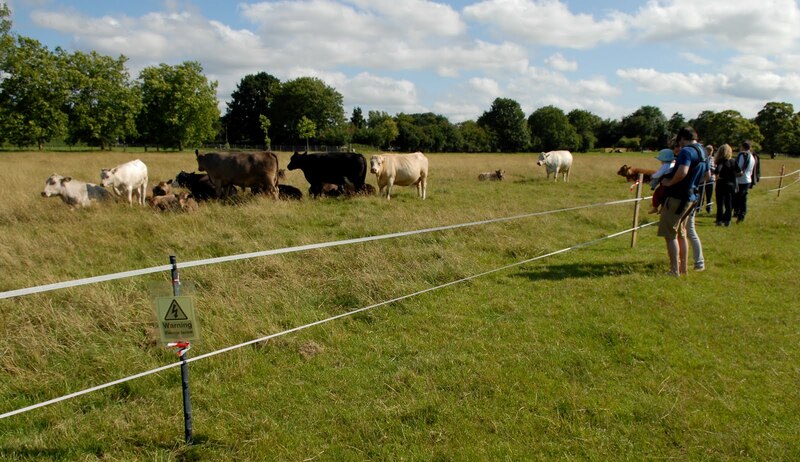 The review outcome was to introduce additional temporary fencing for use at weekends, bank and school holidays. 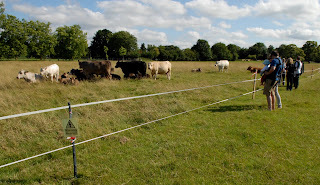 Mike (the farmer), Ian (the herdsman) and Colin erected the new fence on Friday with the cows looking on. 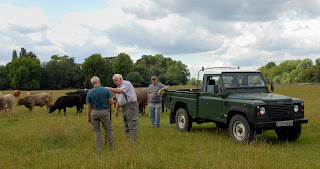 Early Saturday morning, Lin and Alan helped the herdsman lead the cows into the new enclosure. Visitors view the herd behind the electric fence.